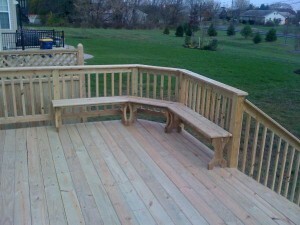 A home deck can be an essential addition to any house. Decks help add space to the house and create a space where people can relax outside at the same time. A deck can also provide the ideal place that allows the homeowner access to a pool on the property and helps highlight a lovely view. The homeowner who wants to add a deck to their property will do well to consult with those who know home deck building in West Chester, PA. The experienced homeowner will find consulting with professionals at First State Contractors can help them get the deck they’ve always wanted. The craftsmen at First State Contractors will take a close look at the homeowner’s property and help them figure out where best to place the deck. They will also help their clients make all sorts of other important decisions about the deck such as the kind of materials being used, the addition of any railings and details such as including planters or built-in benches. The result will be a deck that is elegant and useful as well as one that can help increase the value and functionality of the home.